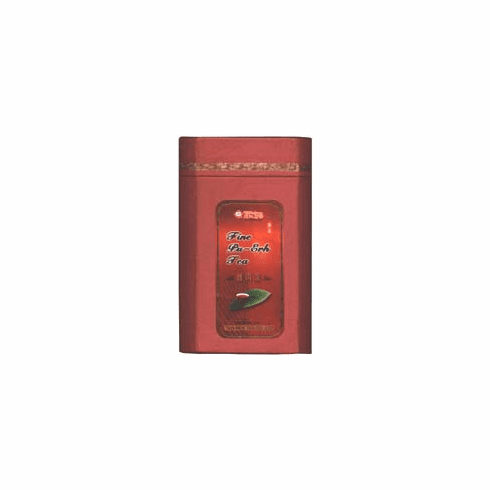 Ten Ren's Fine Pu-Erh Tea comes from Yunnan, China, a region known for producing excellent Pu-Erh tea. Puerh tea is known for its strong earthy scent and flavor. This post fermented tea is commonly brewed with dried chrysanthemum flowers in dim sum restaurants. Tea brewed from Ten Ren's Fine Pu-Erh has a very dark reddish brown color. The aroma is distinct with an earthy undertone. The taste is lightly roasted with a prominent initial flavor and the aftertaste is slightly sweet and roasted which lingers. The water used to steep this tea should be at the boiling point, 212�F (100�C). Use about 2 teaspoons (3 grams) of tea leaves for about every 5 ounces (150 milliliters) of water. A steeping time of about 3-5 minutes is recommended with more or less time depending on the desired concentration. Net tea weight 4 ounces (133.4 g) and shipping weight 0.49 lb.